If our unsustainability hasn’t profoundly shocked you, then you haven’t fully understood it yet. 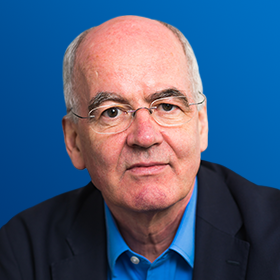 John Elkington is a pioneer of the global sustainability movement, co-founding Environmental Data Services in 1978 and SustainAbility in 1987. An author of 19 books, his million-selling book The Green Consumer Guide (1988) brought mass attention to the environmental impacts of everyday products and brands. 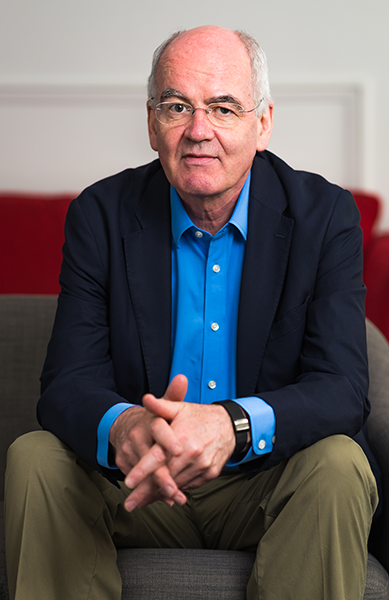 John’s Cannibals with Forks in 1997 popularised his ‘Triple Bottom Line’ concept (People, Planet, Profit) and laid the foundations for sustainable business strategy. John co-founded Volans to span the yawning divides between what the sustainability industry was doing and what needs to be done. As the company enters its second decade, John is on a mission to “10X” Volans’ impact. A. I was lucky enough to stumble into the most important social movement of the late twentieth century – environmentalism – and then helped evolve the most important socio-economic sector of the twenty-first – sustainable development. A. The desire to find the space to breathe and companions willing to take semi-insane risks. Q. When are you most fulfilled? A. When off balance, trying to work out what it is I’m meant to be doing on this planet of ours. In nature. When with family and friends. Parachuting, though not literally, into new places. When reading. And when immersed in a new writing project. A. The past and the future are where I focus much of my time, but always with the intention of bringing lessons from yesterday and tomorrow into the worlds of today. Q. What are you most like? A. At going on 70, I feel most like a chrysalis. Metamorphosing. Building on the good bits of what I’ve done in the past, hopefully learning in the present from the bad things, and aiming to take wing into a future where we work out how to regenerate our economies, societies and, crucially, the (not our) biosphere.